I’m always looking for ways to step up my crochet game, and this may be it, friends! Add a new stitch to your crochet arsenal using this Herringbone Half Double Crochet video tutorial. The Herringbone Half Double (HHDC) is a beautiful variation of the Half Double Crochet. In fact, there is just one slight alteration that distinguishes the half double from the herringbone half double. For some reason adding in the word “herringbone” felt intimidating to me at first. Funny how some of the hardest sounding stitches are some of the easiest – and certainly the prettiest! I just love this stitch, to me the fabric feels looser or more “squishy” compared to the regular Half Double Crochet. 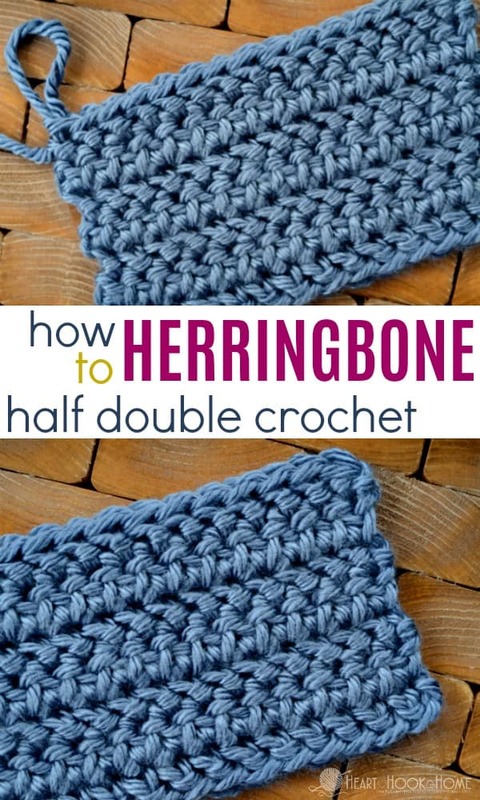 When using Herringbone Half Double Crochet (HHDC), you’ll start just like you would with regular half double crochet. The difference is in the first loop’s pull-through. 3. Yarn over, pull through two remaining loops on hook. That’s it! How easy is that, and what a fun texture it creates! 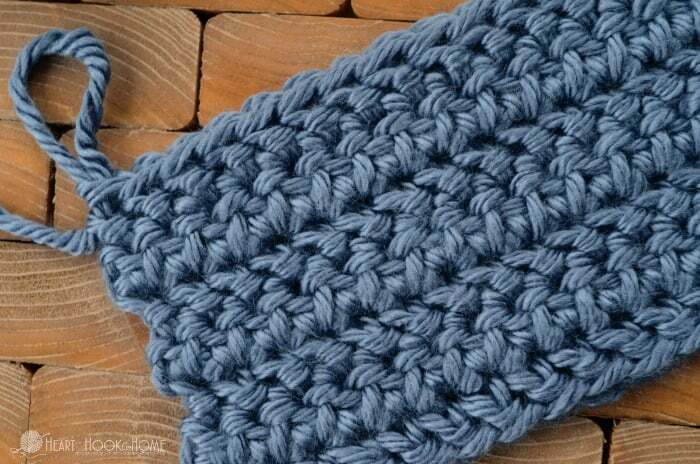 Use the Herringbone Half Double Crochet stitch in your next baby blanket, sweater, or afghan. In fact, my next free pattern, a slouchy housecoat, will feature this stitch. 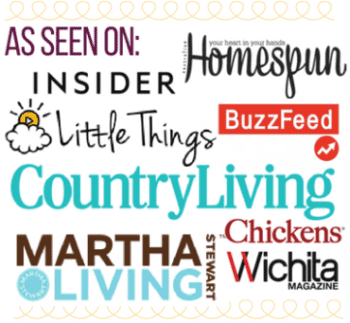 Master the HHDC now, and you’ll be ready when that pattern goes live! I really enjoy your patterns. Very easy to follow and they are spot on with the counts. Thank you! Hi Tracy! I am so glad you are enjoying my patterns! Really appreciate tips and patterns. Which yarn winder is shown and where did you purchase? Thank you, I think I will enjoy your site!! 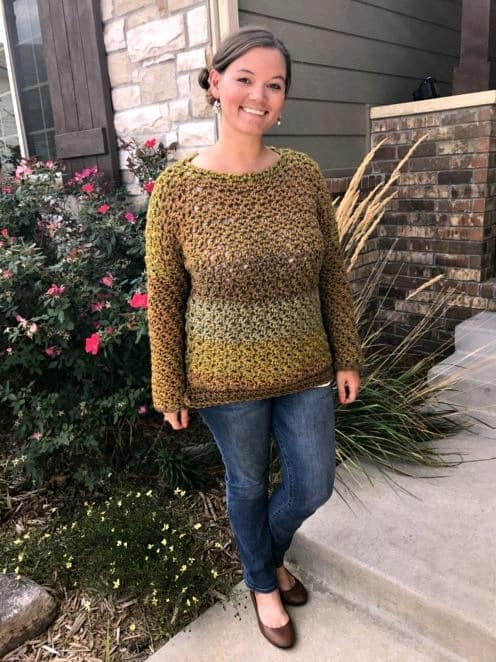 Hello Ashlea, just want to take a moment to say hello and thank you for accepting me into your community of crocheting, I really the simplicity of your instructions and how beautifully the garments turns out! I look forward to seeing your next creation.